Preparations for Expo 2020 Dubai are firmly on track with contracts in excess of US$3billion awarded so far in 2017, it was revealed during a recent dedicated Procurement Conference. Expo 2020 Dubai has so far awarded AED 10.8 billion-worth (US$2.94 billion) of construction and AED 411 million-worth ($112 million) of non-construction contracts this year. It will reach its target of AED 11 billion ($3 billion) construction contracts after the awarding of urban planning and event overlay packages due to be finalised early next year. These packages will be among a number of other opportunities made available by the Dubai government as it moves into the next stage of delivering Expo, which focuses on operational expenditure. Other sectors that will offer procurement opportunities next year to companies of all sizes include design, logistics, health and safety, construction and construction materials. The total number and value of these contracts will be announced in the coming months. Details of these upcoming prospects were announced during the Expo 2020 Dubai Procurement Conference, which took place on 21 November in Dubai, where companies were updated on Expo’s progress and had the chance to meet members of Expo’s Procurement team during the latest ‘Meet the Buyer’ session. 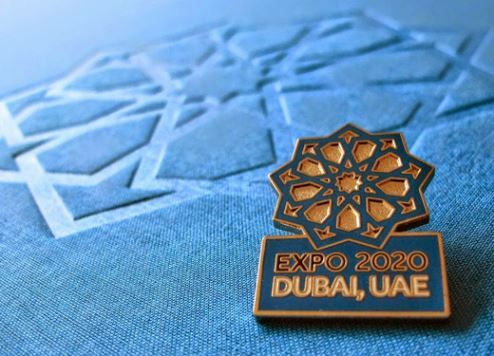 “This has been a significant year on the journey to Expo 2020 Dubai and we are excited to continue our smooth progress into 2018, which will see us offer further opportunities to companies in the UAE and the wider region,” said Manal AlBayat, senior vice president of Business Development and Integration at Expo 2020 Dubai. Sam Achampong, regional head of the Chartered Institute of Procurement and Supply (CIPS), who delivered a keynote presentation at the Procurement Conference, said the Expo 2020 Dubai Procurement team had a “unique opportunity to create a benchmark and template for the procurement of large-scale events going forward”. “I am impressed with the meticulous preparation and levels of innovative thinking applied to Expo 2020 so far, and the early engagement with suppliers is to be applauded,” he added. The Procurement Conference was attended by representatives of more than 300 companies, including small and medium sized enterprises (SMEs), which form an important part of the delivery and economic legacy of Expo 2020 Dubai. To date, more than 50% of the contracts awarded by Expo 2020 Dubai have gone to SMEs. By empowering and integrating SMEs into the Expo 2020 Dubai supply chain, Expo is ensuring that businesses of all sizes will reap the benefits. Expo 2020 Dubai will run for six months from 20 October 2020 to 10 April 2021 and is expected to attract 25 million visits, with 70% anticipated to come from outside the UAE. Through its overall theme, ‘Connecting Minds, Creating the Future’, Expo 2020 Dubai will be a platform to foster creativity, innovation and collaboration globally. It will be a celebration of ingenuity that gives people a glimpse into the future, guided by its three pillars: Opportunity, Mobility and Sustainability. The goal is to create and deliver an inclusive and global Expo with more than 200 participants, including nations, multilateral organisations, businesses and educational institutions. The Procurement Conference is the latest Expo initiative to work with businesses before 2020 by facilitating networking through opening its supply chain, encouraging interaction, exchanging ideas, sharing expertise and enabling companies including SMEs to sell and deliver the best solutions. Work on the Expo site, which covers an area of 4.38 square km, including a two-square-km gated area, is also underway. It is located within the Dubai South District, adjacent to Al Maktoum International Airport (DWC) and a short distance from two of The First Group’s upcoming hotel projects: Millennium Place JVT Dubai, currently under development in Jumeirah Village Triangle and Ramada Plaza JVC, which is being built in Jumeirah Village Circle, both of which will open in time for Expo 2020 Dubai. In addition, The First Group’s portfolio of residential towers in Dubai Sports City are located a short distance from the Expo site.